I will openly admit I'm not so much a "flower" person as I am a typography or "object" kind-of person (especially if that word or object has anything to do with French, France, or Europe in general). But the watercolor style flower that's in right now? LOVE IT! So when I opened my bright pink box last night and saw this month's Paper Pumpkin stamp set I about died. Not really. But my heart rate certainly went up. In a good way. 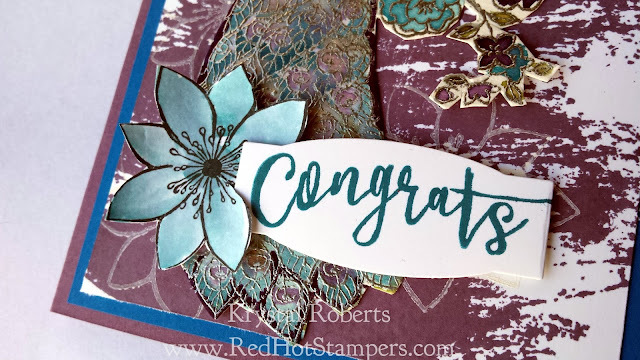 Watercolor flower images AND pretty words?!? Say whaaaat??? Ok, enough talk. I gotta get stampin'. The possibilities with this set are swirling in my head. Here's one card I made REALLY quick with an upcoming wedding in mind. The bride has a thing for peacocks, and these are their colors. The Perfect Peacock set was made for this. Beautiful Perfect Peacock Bouquet... or something like that. I should have done the Watercolor Wash background stamp lighter, but it's still pretty. I softened it a little by adding the flower image from the Paper Pumpkin set in Whisper White as a watermark in the background and then repeated it attached to that beautiful sentiment! So so so pretty!!! This was also my first attempt with the aqua painters. 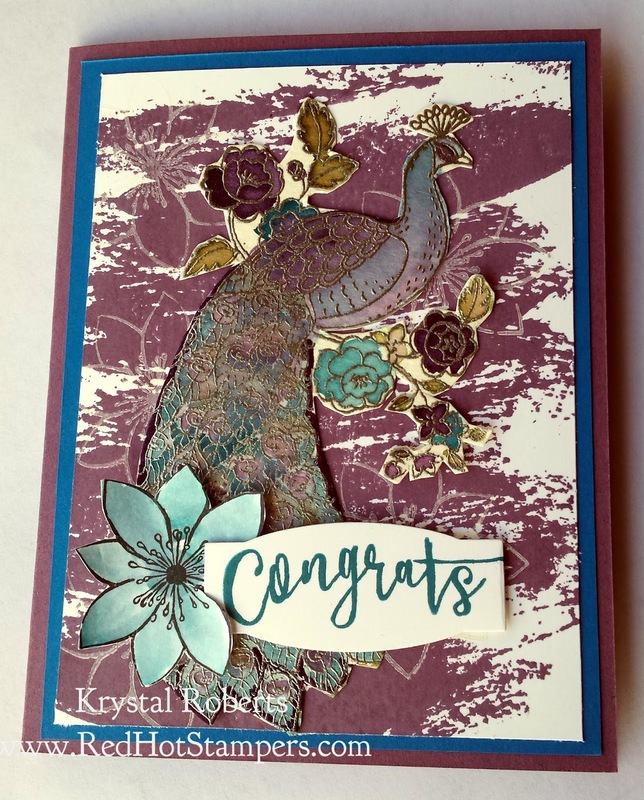 I love how the silver embossed peacock outlines the watercolored image. Beautiful. Anyway, here are the supplies I used for this card in addition to this months BEAUTIFUL Paper Pumpkin set! I hope you enjoy the card and the free case insert! I should also mention I added a place on the right side for you to subscribe by email! Get new posts delivered right to your mailbox! 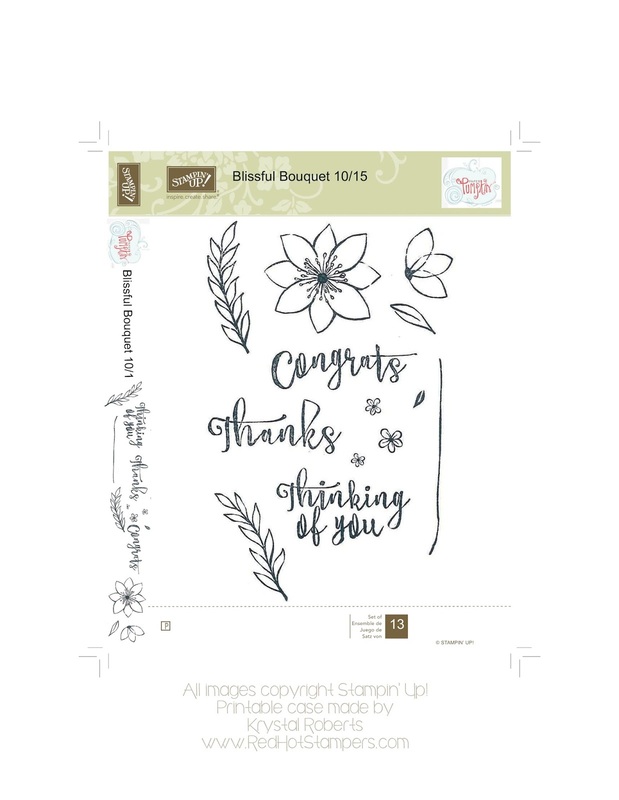 Thanks again for stopping by and have fun creating with this month's beautiful stamps!